You are funny Harini, I was laughing reading your fears. Sorry. But on a serious note, I guess the mini size laddus are lot easy to eat. Dangerously addictive laddoos, mini sized laddoos absolutely incredible and delicious to the core. These ladoos are my fav while growing up and my daughter loves it now. These are some delicious treats to have after school. 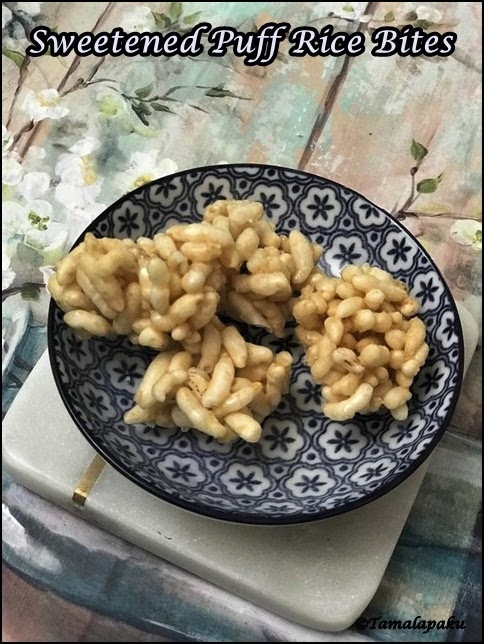 hahaha..that thought is quite hilarious Harini, though I can understand how it must have been..on the other hand, these puffed ladoos are my favorite and in huge size..lol..we mostly make it during deepam day and enjoy it for a week..very nice one! Those mini version just looks so good. Bite sized are usually cute compared to big ones!! 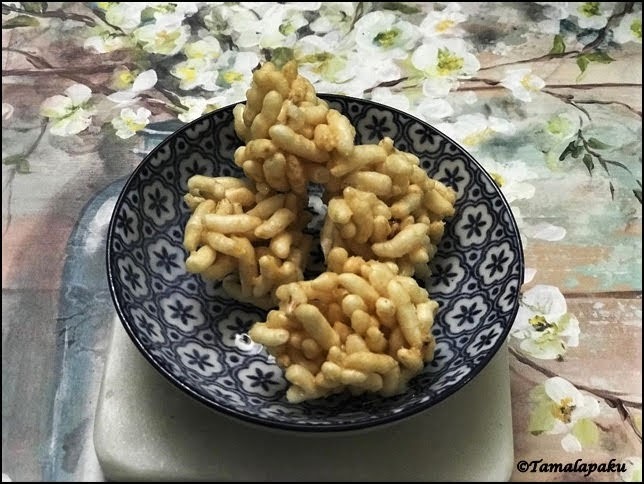 puffed rice laddus are just awesome to munch on. we all love them.